Hi friends - Heather and Mr. K here. As we head into that most wonderful time of year again - the Season of Scotties - we want to be sure all the future Scottie Moms (and Dads) are taken care of this holiday season. With the abundance of Scottie-adorned clothing and accessories popping up in stores everywhere, what easier way is there to spread a little Scottie Love to the world than by giving the gift of our favorite Scottie items to future Scottie Moms and Dads in need? Think about it: all it took for our Scottie Mom to be sold on Scotties was watching Disney's Lady and the Tramp and a favorite set of kids' Scottie pajamas! So, here's what we propose: a Scottie giving tree! Find your favorite Scottie item(s) like clothing, stuffed animals or other accessories and donate them to a local boys' and girls' shelter. Be sure to take a picture, Scottie friends, of you and the items you choose and maybe even of you dropping the items off with your hoomans! 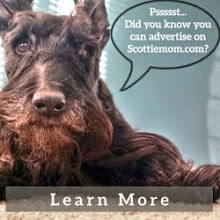 Then, share it on the Scottie Mom facebook page or email the photos to thescottiemom(at)gmail(dot)com. We will send an extra special holiday treat to you as a token of our thanks for helping to bring cheer to future Scottie Moms and Dads everywhere and promoting the Season of Scotties! Want to make an even bigger Scottie splash this holiday season? Get together with fellow Scotties in your area and make a pawty out of it by delivering everything as a group! We think you'll win over lots of future Scottie Moms and Dads that way. Not a hooman kid kind of Scottie? That's okay! Have your hooman make a donation to your local Scottie rescue in your honor. 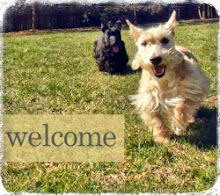 Our Scottie Mom will be sure to send you a holiday greeting as well once you send the name of the rescue to which you donated. Questions? Have your Scottie Mom (or Dad) email our Scottie Mom and she'll be happy to help! Deadline to get your stuff in and still get a special something from us Scots by Christmas is December 15. 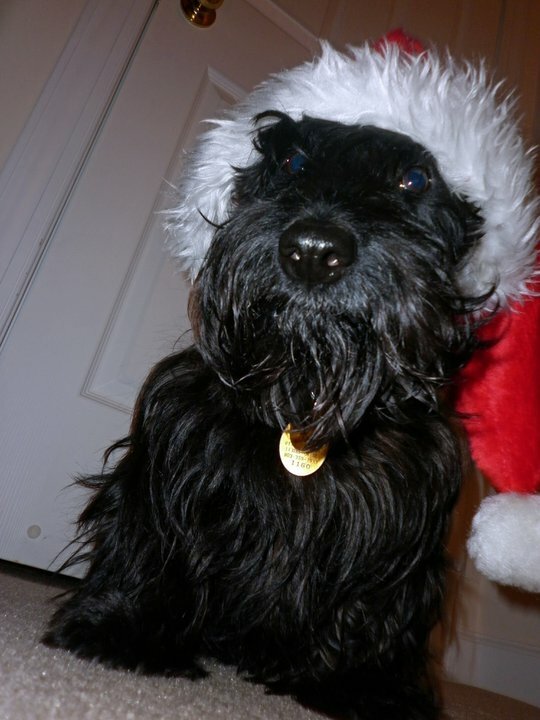 Looking forward to spreading some Scottie love around the world with you this holiday season, friends! Love, Heather and Mr. K.
This sounds like a great idea! We might donate our item (once we find it) to the Salvation Army. They do lots of good work! I would, but They refuse to use Facebook. He even grew up in the same town as Zuckerberg but at different times. Maggie and I think that's a great idea! I don't need any more scottie p.j. 's, but there were a lot out there last year. I buy the p.j. 's in different sizes and give them to Sleep Country for Foster Kids. This way I can buy to my hearts content, hope the store buyers keep ordering scottie items and then donate to help others. Win,Win,Win!